Our First Pal of the Week-Dalia. 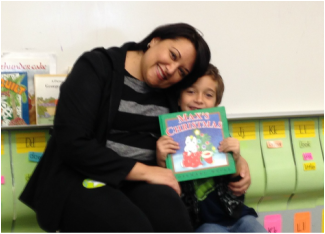 Dalia's mom came in to read to the class. Dalia's book selection was Olivia Trains her Cat. 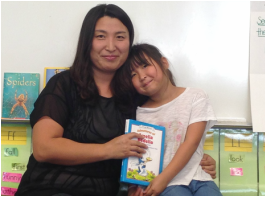 For the week of November 3rd, Leena's mom came to our class to read one of the stories from the Amelia Bedelia's treasury. It was so funny! Our next pal of the week was Kaylem. Kaylem's mom came in to read to the class. Kaylem selected a classic Thomas the Train book. 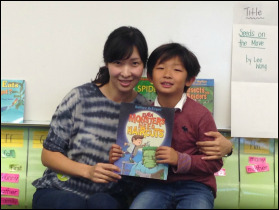 For the week of November 10th, Andrew's mom came in to read one of his favorite books...Even Monster's Needs Haircuts. 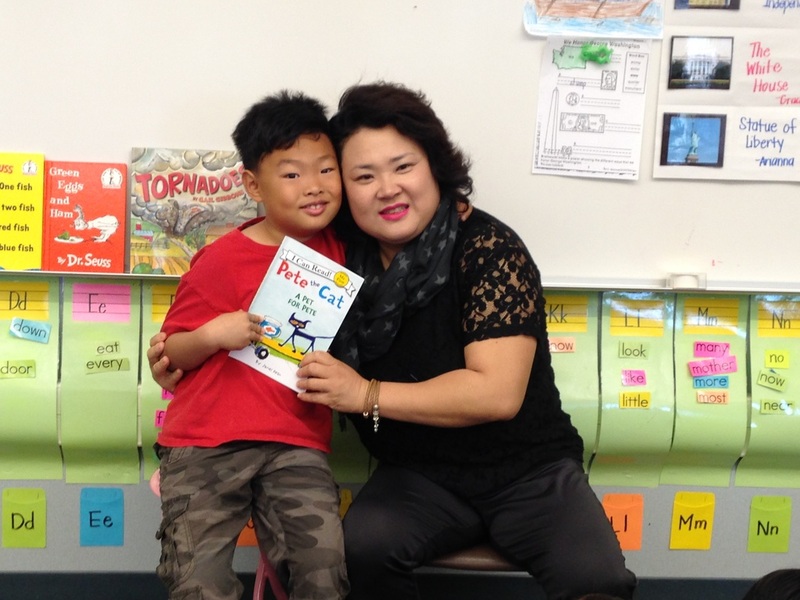 This week, Nathan's mom came in to read to the class. 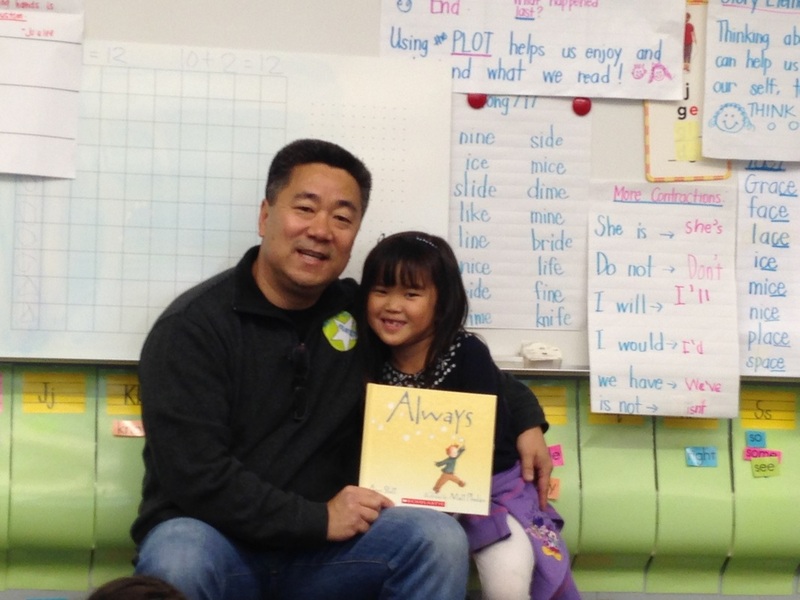 We always enjoy the series of the "Little Old Lady..."
Gabby's dad came in to read one of the Biscuit series book. It's always nice to hear of Biscuit's adventures. 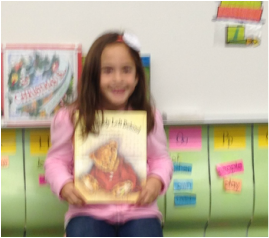 Our recent pal...Sofia with her favorite book. 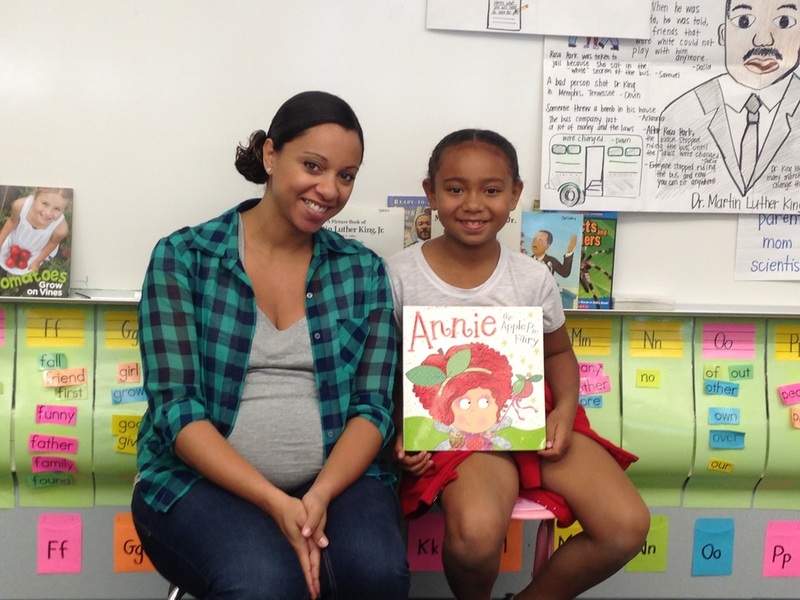 Tristin's mom came in to read ﻿Annie, the Apple Pie Fairy﻿...all about friendship. The class enjoyed the read! We were fortunate this week to receive a double guest appearance in our class. Emilio's father came in the morning, then his mother came in the afternoon to read a couple more short stories. What a treat for our class! 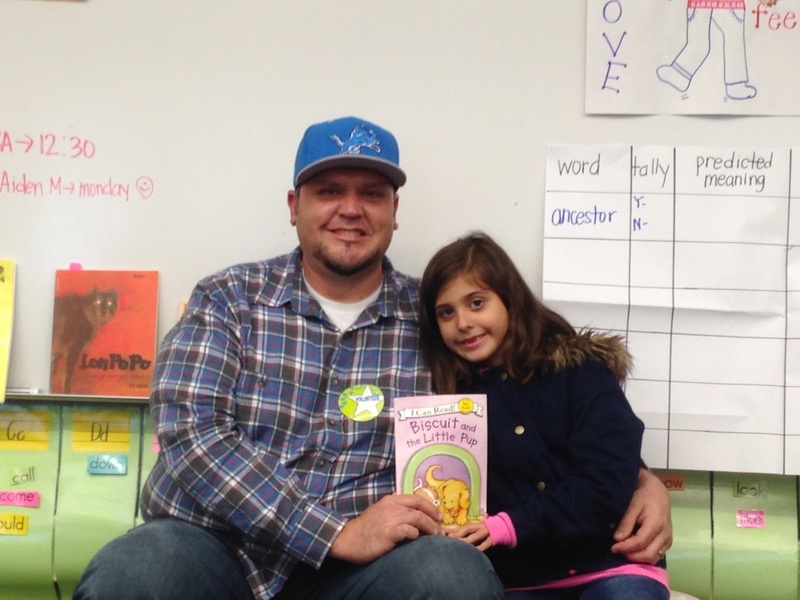 Kaelyn's dad came in to read "Always" to the class. The students enjoyed the story. 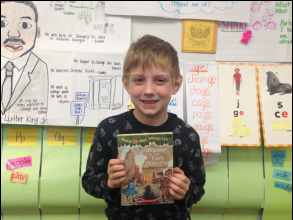 Another pal...Aiden M. with his favorite book. Grace was our recent pal. but felt camera shy. so we have a solo of Grace's mom in our photo. Thank you for reading to our class. Jadon was our first pal of the week for February. His dad came in to read one of Jadon's favorite books. 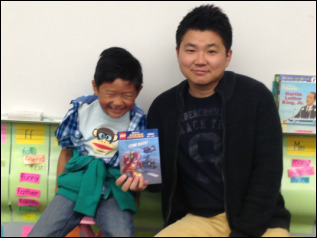 Jacob was our other pal in February to have his book read to our class. His favorite book is Max's Christmas. 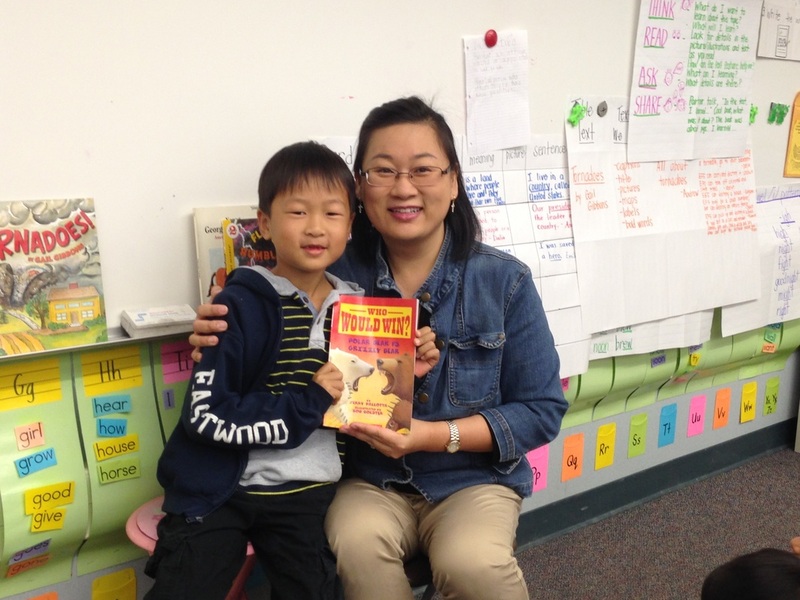 Thank you Mrs. Shin for coming in to read to us. We enjoyed Joshua's favorite book...Who Would Win...A Polar Bear or Grizzly. 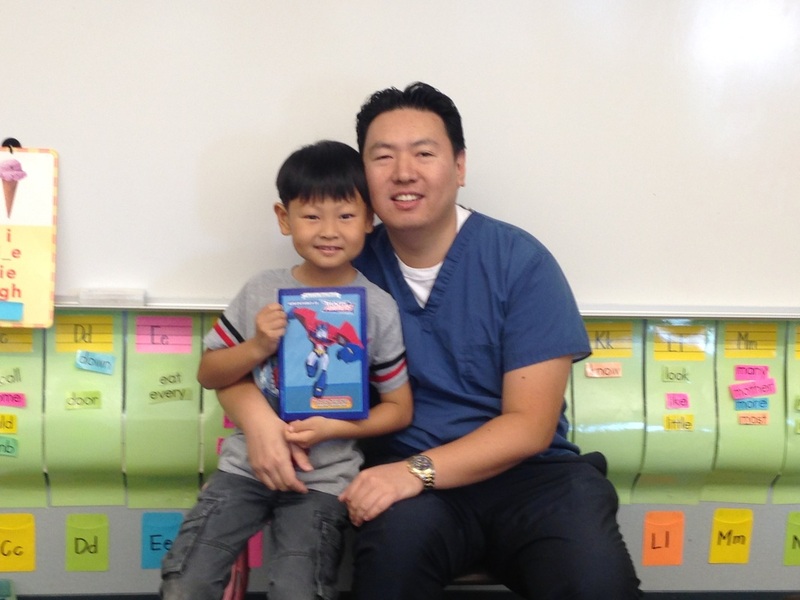 Dr. Kang came in to read a few stories out of Eliott's anthology of Marvel Superheros! Thank you Eliott's dad for the book read. Ryan during his Pal of the Week. 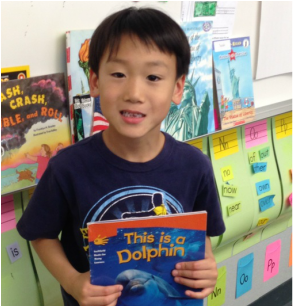 His favorite book, This is a Dolphin was read by Miss Amy. 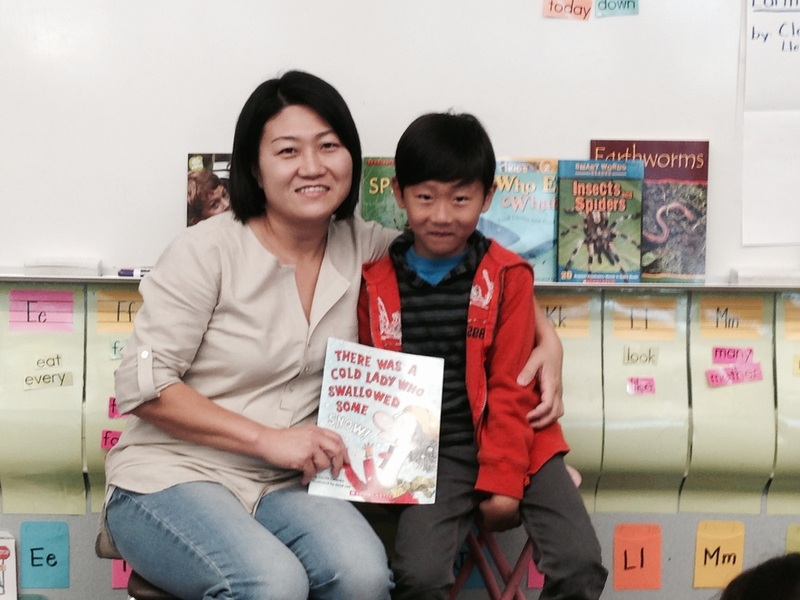 Thank you Mrs. Kim for coming in to read to our class. The class enjoyed Simeon's favorite book "Pete the Cat." For the month of March, Lucas was our Pal of the Week. 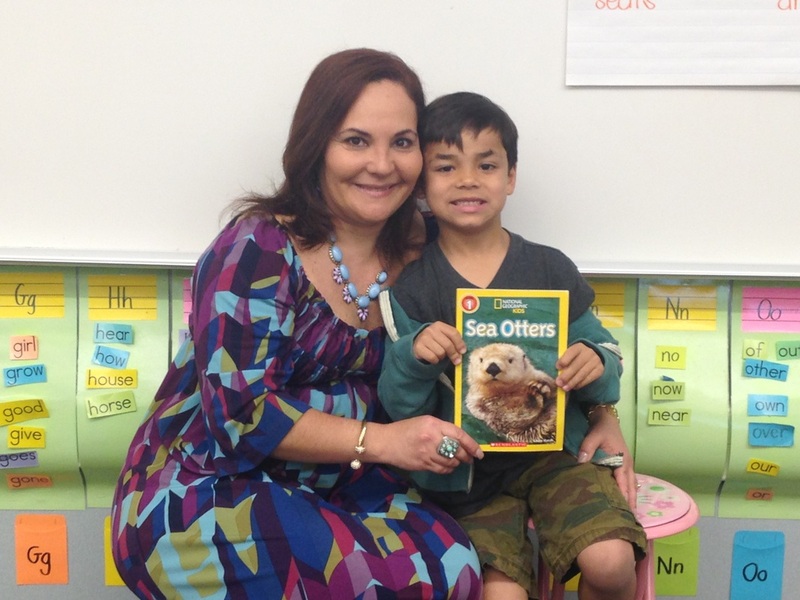 Lucas' mom came in to read Sea Otters to the class. 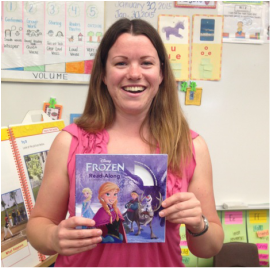 The class enjoyed the book read. 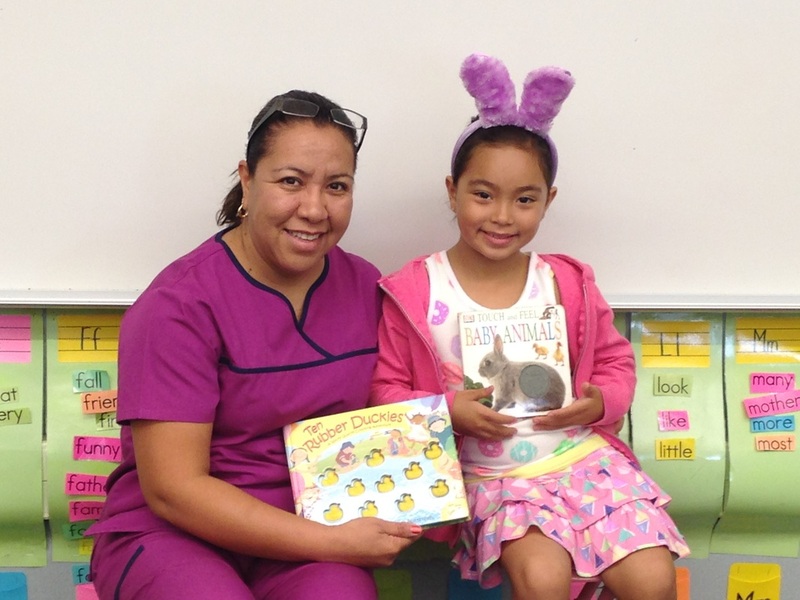 Our last guess reader for the month of March was Jo'elee's mom Mrs. Flores read a couple of Jo'elee's favorite books.